The Blarney Castle was constructed in 1446 by Cormac Laidhir MacCarthy, Lord of Muskerry. The tower, which measures 85 feet high, is above the river and curious dungeons and caves reside below. 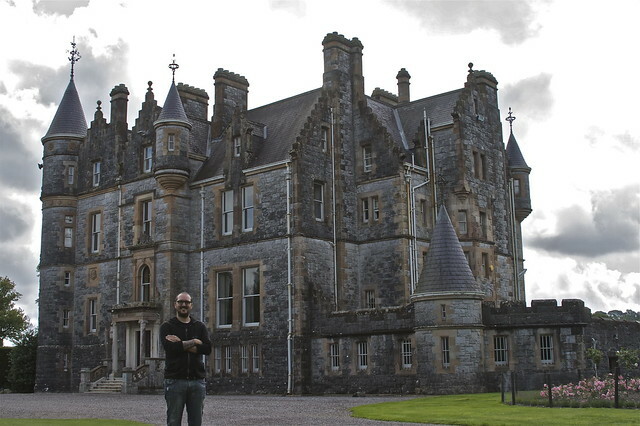 At the time of construction, the MacCarthy family was in power in Ireland. The third Earl of Clancarty and James II were exiled during the 17th century, ending the families hold on Blarney Castle. The Blarney House, situated 200 yards south of Blarney Castle, was constructed by the Colthurst family in 1874 in the Baronial style. Deterring from the cold and uncomfortable accommodations, the Colthurst family built the house to feel more at home. During the 19th century, wishing steps were created in the gardens. It’s been said in order for a wish to come true you had to negotiate your way down the steps with eyes closed in order for your dream to come true. The Blarney Castle is most famous for the Blarney Stone. One would hang upside down from the battlements after climbing 100 steps to the top, and if a kissed was placed upon the stone, the gift of eloquence was conferred upon them. In 1912, in fact, Winston Churchill kissed the stone, and what came next was history. 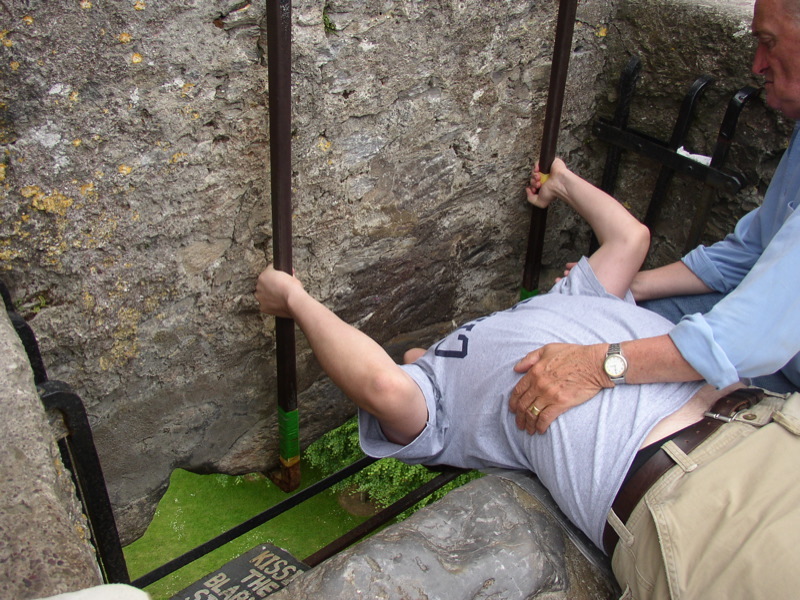 The legend of the Blarney Stone is unknown, but folklore tells of Jacob in the Bible, who rested his head upon the stone when he saw angels ascending and descending a ladder to heaven. Some believe the wishing steps in the garden are reminiscent of the ladder as well. During the Celtic revival, the term Lia Fail was used to describe the illustrious stone by enthusiasts. 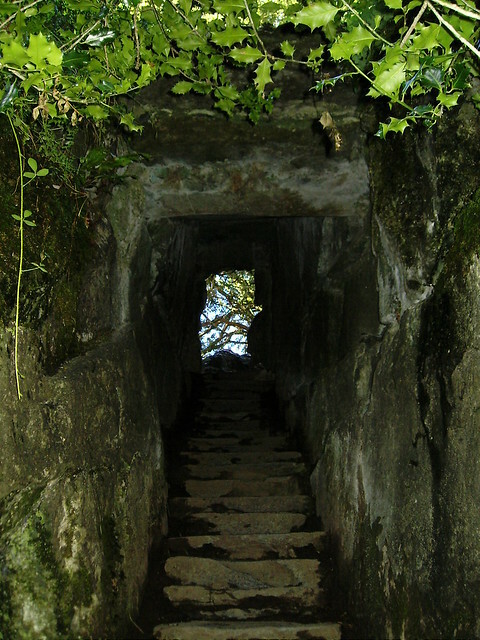 When High kings were crowned at Tara during Pagan times, the stone would scream when the rightful successor touched it. Another legend describes a time between Elizabeth I’s reign and Cormac MacCarthy when the queen looked to destroy the power of the Irish lords. MacCarthy was evidently playing deception so the queen remarked that his protestations were “more blarney”. Today, thousands of patrons walk the grounds of Blarney House and the famous gardens, trying to catch a glimpse of anything out of the ordinary. Would anyone know the date of the last archaeological excavation at the castle proper? Been searching and can't find anything more recent than 1893.